A University of Liverpool scientist is the lead author on a new study, published in the journal Science, which finds that it's increasingly likely that an asteroid or comet impact 66 million years ago reignited massive volcanic eruptions in India, half a world away from the impact site in the Caribbean Sea. But it is not clear to what degree the two catastrophes contributed to the near-simultaneous mass extinction that killed off the dinosaurs and many other forms of life. The research sheds light on the huge lava flows that have erupted periodically over Earth’s history, and how they have affected the atmosphere and altered the course of life on the planet. 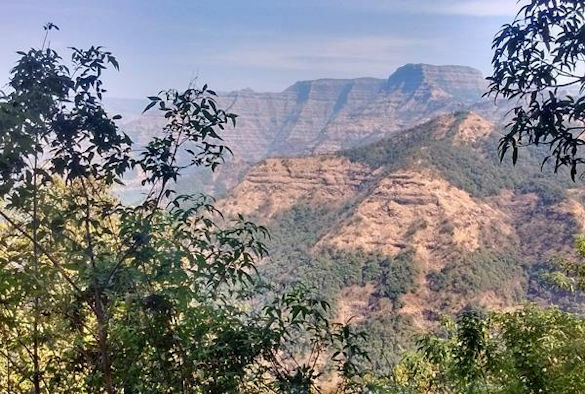 The study, which was undertaken by University of California, Berkeley scientists, reports the most precise and accurate dates yet for the intense volcanic eruptions in India that coincided with the worldwide extinction at the end of the Cretaceous Period, the so-called K-Pg boundary. The million-year sequence of eruptions spewed lava flows for distances of at least 500 kilometers across the Indian continent, creating the so-called Deccan Traps flood basalts that in some places are nearly 2 kilometers thick. The hypothesis that climate-altering volcanic gases leak out of underground magma chambers frequently, and not just during eruptions, is supported by evidence from present-day volcanos, such as those of the gas-spewing Mt. Etna in Italy and Popocatepetl in Mexico, the researchers said. Magma stewing below the surface is known to transmit gases to the atmosphere, even without eruptions. The new dates also confirm earlier estimates that the lava flows continued for about a million years, but contain a surprise: three-quarters of the lava erupted after the impact. Previous studies suggested that about 80 percent of the lava erupted before the impact. If most of the Deccan Traps lava had erupted before the impact, then gases emitted during the eruptions could have been the cause of global warming within the last 400,000 years of the Cretaceous Period, during which temperatures increased, on average, about 8 degrees Celsius (14.4 degrees Fahrenheit). During this period of warming, species would have evolved suited to hothouse conditions, only to be confronted by global cooling from the dust or by climate cooling gases caused by either the impact or the volcanos. The cold would have been a shock from which most creatures would never have recovered, disappearing entirely from the fossil record: literally, a mass extinction. But if most of the Deccan Traps lava emerged after the impact, this scenario needs rethinking. The research team used a precise dating method, argon-argon dating, to determine when the impact occurred and when the Deccan Traps erupted to clarify the sequence of catastrophes at the end of the Cretaceous Period and beginning of the Tertiary Period – the K-Pg boundary, formerly referred to as the K-T boundary. In 2013, using rocks from Montana, they obtained the most precise date yet for the impact, and in 2018, they updated that to 66,052,000 years ago, give or take 8,000 years. Then, in 2015, they determined from a handful of samples in India that, in at least one spot, the peak of the Deccan Traps eruptions occurred within about 50,000 years of that date, which means, in geologic time, that the incidents were basically simultaneous. Now, with three times more rock samples from areas covering more of the Deccan Traps, the researchers have established that the time of peak eruptions was the same across much of the Indian continent. This supports the group’s hypothesis that the asteroid impact triggered super-earthquakes that caused a strong burst of volcanism in India, which is almost directly opposite the impact site, the Chicxulub crater in the Caribbean Sea. The researchers argue that the coincident catastrophes likely delivered a one-two punch to life on Earth, but the details are unclear. Volcanic eruptions produce lots of gases, but some, like carbon dioxide and methane, warm the planet, while others, like sulfur aerosols, are cooling. The impact itself would have sent dust into the atmosphere that blocked sunlight and cooled the Earth, though no one knows for how long. Which gases in the Deccan Traps are emitted when is a question that’s hard to answer, because there are no flood basalt eruptions going on today, despite numerous ones in Earth’s history. The most recent, near the Columbia River in the Pacific Northwest, dwindled 15 million years ago after 400,000 years of eruptions. The paucity of information about flood basalts is one reason the researchers are interested in the Deccan Traps, which are still young enough to contain information about the sequence, effects and scale of the eruptions, and perhaps the cause.